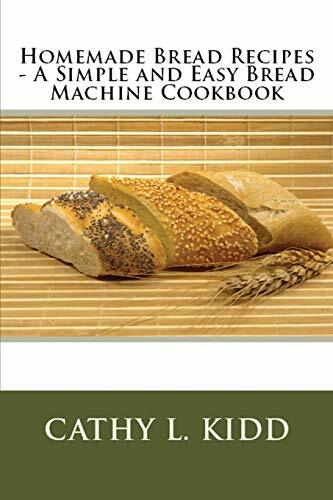 Homemade Bread Recipes, A Simple and Easy Bread Machine Cookbook contains 137 easy to make bread machine recipes using common ingredients. This book is designed to give you what you want - the recipes! No fluff, no repetitive information that you already know, just the ingredients and quantities to make unique homemade bread in your bread machine. Cathy L. Kidd is a craftsperson at heart. For as long as she can remember she has been creating things with her hands. She has done crochet (taught to her by her Aunt Carol), stained glass (learned by taking a class), candlemaking (learned from an ebook) and cooking (learned initially from Betty Crocker!) She specializes in recipe books for your kitchen appliances and giving you what you want - the recipes! Simple, Easy and Delicious.